There’s never enough time in the day! As a business owner you can get caught in the ‘busy trap’, constantly trying to complete to-do’s, put out fires and perform the day to day tasks required to run your business. But, being busy usually doesn’t mean productive! Productivity requires that you know your priorities, stay focused on them and are ensuring that you spend time working on them. Below you’ll find 3 simple tips that will help you maximize your productivity as a fitness studio owner. What is the one thing that is keeping you from reaching your goals? The priorities in your business will change as your business grows and evolves. The most important factor for your continued growth is understanding what those priorities are and how to stay focused on them. As a best practice, you want to identify priorities each quarter that will help you accomplish your annual goals. These projects, milestones or goals will help you focus your energy and time on the activities and projects that will set you up for success. Setting your annual and quarterly goals is a critical part of the planning process for a studio owner. Once you have your goals, identify what projects or activities you need to accomplish in order to make them a reality. These are your priorities for the next 90 days! If you think that you’ll be able to ‘find the time’ throughout the week you are mistaken. The fires, issues, and problems you have to do deal with each day will take over and you’ll find yourself behind schedule and off track. Once you have identified and established your priorities you will want to document them and share them with your team, mentors and/or business coach. This is an important step! You’ll find yourself getting caught up in the day-to-day of running your business throughout the quarter and lose sight of your priorities. Sharing them with a mentor or business coach can help you stay accountable. Keeping your team informed of your priorities allows you to get them on board with your vision and allows you to enlist their help to get them completed. Not only will they buy into your vision when you share your priorities but they will also help you stay focused on them. They will support and help you reach your goals. If you don’t set a plan in place to hit milestones throughout the quarter to ensure the priorities stay the priorities you’re at risk for not hitting your goals. Most fitness studio owners put off working on their priority projects or assessing their progress to a goal until the final weeks of the quarter. At that point panic and anxiety set in as you rush to get them done. But, you’re not like most…you’ll create a plan with milestones to determine if you are “on track” or “off track” with your priorities and goals throughout the quarter. Each week build in time to assess where you are and your progress on the project. During this time you can then plan your next steps or adjust the plan to get yourself back on track if you are behind. This ensures the priority stays front and center for you throughout the quarter and encourages you to begin working on it right away. Finally, you’ll want to build in and schedule time on your calendar to work on the priorities for your business. If you think that you’ll be able to ‘find the time’ throughout the week you are mistaken. The fires, issues, and problems you have to do deal with each day will take over and you’ll find yourself behind schedule and off track. Block off time to work on your business each week and protect that scheduled time! These 3 tips will allow you to get more done and grow your business at a faster rate than ever before. These same tips can be used with your team to ensure they are focusing on the most important aspects of their role within your business and moving you closer to your goals. When your focus and goals are all moving in the same direction we call that alignment and with alignment comes a lot of momentum and productivity! 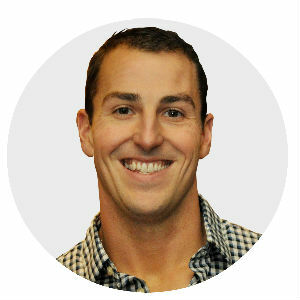 Ryan Ketchum is a fitness business and marketing expert. He and the team at Fitness Revolution help studio owners increase sales, maximize profits and create systems to free up time. They use a framework, the Fitness Business Alignment System™, to guarantee results with their clients. Fitness Revolution focuses on helping aspiring high performers build the fitness business they’ve always wanted, but struggled to build. They are the only complete business coaching system for fitness studios. Ryan is also a featured speaker at SUCCEED! the AFS Business Convention and Expo.